It’s the 31st day of August, which means I just finished my 31 Day Smoothie Challenge! Of all of the Healthy Year Challenges I’ve done so far, this has been the most fun. Having a new smoothie every day kept me on my toes and what a great way to eat a wide variety of fresh, vibrant foods. I just loved this challenge! I’ve felt GREAT this month. I’m not sure how much I can contribute to drinking a smoothie for a meal every day, but it’s the only thing I’ve changed. My energy levels have been high, I’ve felt powerful in my workouts, and overall just feeling well. I know how I feel is directly correlated to what I’m eating, so it’s safe to assume the smoothies were a big part of my fantastic month. Now I wanted to share some readers’ results! In my newsletter this week, I called out for those that completed the challenge to let me know how it went so I could share it, and these are the replies I got. Thanks to those that took the time to email me and let me know you did the challenge and how it went. It’s great to hear from you and know you’ve join in! I love this community. Hi Maryea! Thanks for doing these challenges. I have needed to make my health a priority for a long time now, but always put my family’s needs first (not that that’s a terrible thing, but I can’t neglect my health either!) I have tried to do all of the challenges you are putting out there. The smoothie challenge has been good. I am not normally a smoothie person, but I liked almost all of these. I normally eat bagels or cereal (don’t judge!) for breakfast so this was a big change from my routine. The best part is I lost 4 pounds this month! I wasn’t really expecting that. Thanks again. This was the 1st monthly challenge I committed to and only missed one day of a smoothie meal. I will say I look forward now to my morning smoothie. It leaves me satisfied and full, but not heavy so I am able to get through my morning workout. It allowed me to “eat” while reading books to my kids while they eat breakfast. I can see continuing to drink smoothies most weekday mornings and using your recipes over and over again. My favorite was anything with chocolate and peanut butter :). I realized I do not like cucumber or parsley in a smoothie. At one point my kids were cheering me on to finish because I refuse to waste good ingredients. It was SUPER convenient having the shopping list to go along with your recipes and the variety was awesome! I also loved how much your recipes made…I’ve made some that fill only 1/2 a glass. Most of yours left me with leftovers in my Vitamix. This was a fun challenge! Thanks for your effort putting it together. 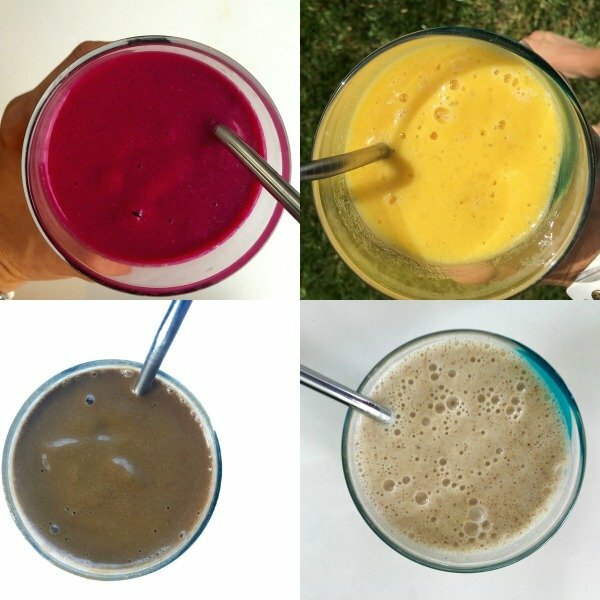 Thank you for sharing your smoothie recipes for the 31 Day Smoothie Challenge! There have been times when I didn’t feel like making a smoothie [I hate to cook and sometimes I’m even too lazy to blend a smoothie. Sad but true.] but I really want to complete the challenge. I haven’t miss a day yet! I started at a different time because we were on vacation and then I forgot about it, but I started 2 weeks ago and it’s going great. I definitely feel better when I eat breakfast instead of skipping like I often do, and I haven’t skipped for 2 weeks now. I’m excited to finish it up.
) A better blender would be such a blessing. I had to add more liquid than your recipes called for because my blender couldn’t handle all the frozen fruits or raw vegetables.
) I love smoothies! Even when they weren’t totally smooth, they were amazing.
) I need to eat more fresh fruits and vegetables on a regular basis. I am feeling good! I have one week to go. Thanks for your recipes and grocery lists!! Wow! I’m almost done with the 31 Day Smoothie Challenge! I never want to see another smoothie again. JUST KIDDING! I’ve actually really enjoyed this challenge and all the different recipes. You’ve pushed me out of my comfort zone a lot. I NEVER thought I would put swiss chard in a smoothie and like it, but I did. I swear drinking the smoothies for lunch everyday gives me so much energy to power through the afternoon. And while I haven’t lost any weight, I think my shorts fit better. Maybe?! I think so! This was a great choice for a challenge and I’m happy I did it. Thank you! Thanks again to everyone who shared their results. If you didn’t join in this round, that’s okay, you can start this challenge on your own at any time! Grab a friend if you want and get started! 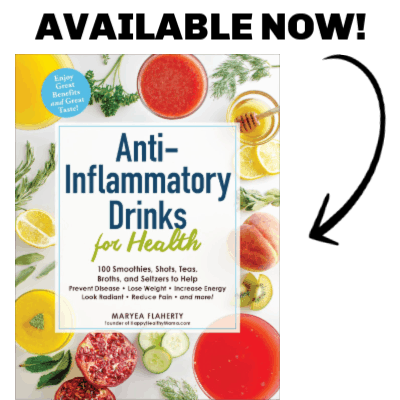 All you need to do to get access to 31 plant-based, high protein (without any protein powder) smoothies, click below and join my email list. It’s totally free and you’ll get instant access to the recipes and grocery lists. You’ll also be on my list to get my weekly newsletters that include stories, inspiration, and healthy living ideas. It’s a win-win! So which smoothies were your most favorite?? Crazy month for us with lots of traveling (mostly camping and hubby refuses to take the vitamix camping, can you believe it?!) so we didn’t get to do many but I’m excited to look through all the recipes and pick several to try for early school mornings. But I’d love to know yours or anybodys favorites? ?